Laparoscopic surgery, also called minimally invasive surgery (MIS), bandaid surgery, keyhole surgery is a modern surgical technique in which operations in the abdomen are performed through small incisions (usually 0.5-1.5cm) as compared to larger incisions needed in traditional surgical procedures. Laparoscopic surgery includes operations within the abdominal or pelvic cavities, whereas keyhole surgery performed on the thoracic or chest cavity is called Thoracoscopic surgery. 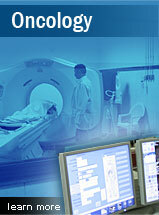 Laparoscopic and Thoracoscopic surgery belong to the broader field of endoscopy. The key element in laparoscopic surgery is the use of a laparoscope. There are two types: 1) a telescopic rod lens system, that is usually connected to a video camera (single chip or three chips) or a digital laparoscope where the charge-coupled device is placed at the end of the laparoscope, eliminating the rod lens system. Also attached is a fiber optic cable system connected to a 'cold' light source (halogen or xenon), to illuminate the operative field, inserted through a 5 mm or 10 mm cannula or trocar to view the operative field. The abdomen is usually insufflated with carbon dioxide gas to create a working and viewing space. The abdomen is essentially blown up like a balloon (insufflated), elevating the abdominal wall above the internal organs like a dome. The gas used is CO2, which is common to the human body and can be absorbed by tissue and removed by the respiratory system. It is also non-flammable, which is important because electrosurgical devices are commonly used in laparoscopic procedures. It is difficult to credit one individual with the pioneering of laparoscopic approach. In 1902 Georg Kelling, of Dresden, Saxony, performed the first laparoscopic procedure in dogs and in 1910 Hans Christian Jacobaeus of Sweden reported the first laparoscopic operation in humans. In the ensuing several decades, numerous individuals refined and popularized the approach further for laparoscopy. The introduction of computer chip television camera was a seminal event in the field of laparoscopy. This innovation in technology provided the means to project a magnified view of the operative field onto a monitor, and at the same time freed both the operating surgeon's hands, thereby facilitating performance of complex laparoscopic procedures. Prior to its conception, laparoscopy was a surgical approach with very limited application and used mainly for purposes of diagnosis and performance of simple procedures in gynecologic applications.